This powerful message was designed for ISD executive leadership. Maureen Pajerski is the Executive Vice President Chief Sales and Marketing Officer for Rauland Borg Corporation. Maureen is a well-respected pillar in the nurse call communications industry who has shaped the fabric of the community with the nation’s leading nurse communication product line. Tell me about yourself, and how you came to work at Rauland? I started at Rauland in 1982 just after earning my engineering degree from the University of Illinois in Champaign-Urbana. While working at Rauland (a great employee benefit) I earned my MBA from the University of Chicago. I started in Technical Support, then moved into engineering, writing all the software for an early generation nurse call system; then went on to product management, sales management, VP, etc. to my current position as Chief Sales and Marketing Officer. I joke that my responsibility is to grow sales, market share, and profitably, every year, with happy customers. My teams cover sales, marketing, technical support, and product management (including future product roadmap). Being a Woman and an Engineer is very impressive – especially in a male dominated industry. Did you find it challenging, how did you overcome those challenges? Actually, to be female in a male dominated industry gives you an advantage in a lot of ways. When I’m at meetings and the only female there – I’m remembered. So, as long as I’m competent it provides leverage. My view is that a person’s ethnicity or gender is absolutely immaterial. It’s more about what they are capable of and how they do their job (character and competency). I’ve adamantly refused to join any ‘groups’ based on gender despite enormous pressure at times. To me joining a “women in leadership group” is essentially saying we somehow need a segregated club and extra/different support because we are female. I want the most qualified candidate to get the job and I want everyone to be indifferent as to whether they are female, male, black, white or purple. So, I deliberately refuse to acknowledge any reason why the fact that I am female should matter in any way. We have seen massive pressure and change in the “Call Light” industry over the last 12 months, what is your take on the shift? We quit calling ourselves a “Call Light” system internally a long time ago because it indicates that we are nothing more than a patient pressing a button and then a nurse hearing a tone and seeing a light. We are a Clinical Communications Platform. The EMR functions as “needs to happen” and “has happened” technology. One that records and provides task oriented information about the care of the patient. We are a platform that enables here and now communication. We are defined by our ability to enable immediacy of information between caregivers or from the patient. The ultimate goal is to provide a single view of the patient in real time. Rauland’s platform is currently the ONLY platform in a hospital that has access to the patient; wherever they are located. This enables us to integrate a variety of systems involved in patient care and provide the methodology to create action for the patient. We also allow for this methodology to occur in its native platform vs. having to add yet another complex system (such as middleware) to provide translation and connection services. It is imperative that a Clinical Communication Platform interacts with the EMR and other systems in real time to create workflows and automate communication. What has Rauland done to create a more collaborative environment between EMR and Clinical Communications? Rauland, as a platform, currently and will always be about open integration. Creating the ability to share information openly between technologies is our focus – we have been doing it for years. We released All Touch this year to allow for a bi-directional communication between the EMR and our platform. The goal is to mobilize the status of the patient in real time to the care team and transform documentation into a single button push. Think of it this way – the patient’s fall status changes throughout their stay. For example, the research points to two things that reduce patient falls: assessments and rounding. The All Touch platform enables the assessment completed in the EMR to transition the status of the patient to the clinical communication platform so that ALL of the hospital personnel and care team are fully aware. As a team, we can create a number of workflows based on real time need and workflow. Notifying all involved in the care of the patient with their needed piece of the puzzle at the right moment. The second way to reduce falls (and other issues such as pressure ulcers) is consistent hourly rounding. Thru our vendor neutral integrations to RTLS and EMR we can validate location, time, and simplify the documentation of the round at the staff terminal. All of the information can be recorded directly into the EMR. Simple, fast, and efficient. Each patient falls costs a hospital $13,000, on average, in addition to the stress and strain on the patient and their families. The $13,000 does not take into account the hit on the public image/perception of the facility as well. All Touch provides a way for hospitals to manage and communicate information effectively (and silently using visual indications instead of adding to alarm fatigue) and ensure consistent application/use by all staff to ensure a reduction in falls. Many studies (e.g. Studer) show that falls can be reduced between 25-65% but only if these practices are CONSISTENTLY applied and used. Falls are just one example. We have been working with hospitals on MUSE score notifications where a patient who is potentially deteriorating receives care faster. We are the real time communication engine that notifies, signals, and creates visibility to the need as soon as the score changes to 4 or 5. This is lifesaving. Do you find that the legacy perception of what you started with is challenging your market message? We are a manufacturer but that doesn’t limit our ability to also be a software platform. It actually is quite powerful. The Internet of Things is more powerful than any single software platform because we are gathering data from multiple dispirit systems and transforming that information into useable information. Think about the broadcast industry and how their legacy approach of television has been disrupted by providers like Netflix and Amazon video. Their benefit is they had market share, trust in the market and reliability. Their challenge is how do you maintain a solid product to serve the market that has served you so well AND transition to the newly created market seamlessly. That has been our challenge and Rauland has a vision that leverages the reliability of hardware and the flexibility of software. For example, mobile applications, we absolutely see the value in these as part of the clinical communications platform but we also see the need to create a path to allow the devices to mature. We’re seeing a lot of what I call “one off” solutions using mobile apps where they address one specific need or area extremely well but can’t easily be adopted to other areas or staff. Hospital environments have to deal with a lot of different challenges that are unique to that environment; things such as infection control and wireless interference get exponentially complicated the more devices are being handled and moving between rooms and patients. Each hospital is also in a different place on the continuum of adoption. For example we see some hospitals strongly embracing BYOD while others want to use more ‘industrial’ phones such as those provided by Spectralink or Cisco, and still others are extremely dependent on pagers. We believe that it is the safest, most effective, path to leverage the installed technology as the Internet of Things – to create migration to the future and allow hospitals to use both legacy and new technology. Keeping a focus on ultimately having a single, cohesive view of the patient and the care required; for ALL the staff involved in providing that care which include not just the doctor and nurses but also the therapists, pharmaceutical services, environmental services, facilities management , etc. and the patient themselves at the center. Since the very beginning our mantra has been to have an open integration platform. This is very different then our competition. We don’t private label RTLS or manufacture handsets – we allow our hospital partners to decide what best of breed applications they want to use. That belief of open integrations, is it beneficial for the clients or does it create more challenges? It’s absolutely a benefit to our clients but it’s a major reason why our channel is so valuable. Look, a hospital should have the right to choose the technology that meets their needs most effectively. We don’t dictate to use one RTLS vendor or one end point communication tool because it serves us better. We have mobilized on a standard that allows for direct connection to those devices without even the need for a middleware platform. Not because we don’t think that middleware has value but we see the future where technologies should interact with one another without a middle man – we should not need a translation engine in the future. An IDN needs to have the ability to standardize end points and RTLS without being forced into a decision based on the limitation of the Call Light. Clinical Communications platforms must be a platform that is open to the Internet of Things and it’s variability. Integration of these technologies is not something you can go and get a degree in and Rauland’s focus is being flexible to the hospital’s choice technology or EMR. This creates an incredibly challenging environment for our VARs – the only way to learn integration is to really have field experience, particularly during this transformative stage, while direct integration standards are still in development. That’s why our competitors limit what they can and will integrate to. You mentioned the channel – which some of your competitors have challenged recently as being an Achilles heel – what is your belief on a channel? It’s no secret that Rauland values the channel. We see our VARs as being one of our greatest assets to the organization. The channel is what makes the product truly applicable in the hands of the hospital. We don’t treat our VARs like other companies treat VARs. We treat them as a key part of our organization. So when I am asked how many technicians we have to service our product nationwide – my response is over 1,000+ CERTIFIED technicians. We have a direct sales force of over 200 people who are backed up by highly skilled engineering teams and implementation teams. All of these people are within hours of a hospital not days – not weeks – not get on a plane and see you in a few days – hours. We serve well because they are serving well. We have distributors who have banned together like SD6 to create SHARED best practices – you don’t see that in other industries because they are always worried about client poaching; but not ours. The whole is better because of the sum of its parts. Rauland has created the Standards of Excellence program to ensure a consistent level expectation for customer experience across the United States and the world. It has been built by putting the best of the channel together and creating a peer level expectation. We win together – that’s what makes us great. Hospital inpatient decline is not a new trend as inpatient utilization in the U.S. has been declining significantly in the last decade. The shift towards utilization of outpatient services can be accredited to a variety of factors such as the boom in higher deductible healthcare plan offerings, advanced technology, and shrinking provider reimbursements. According to Guy David, Associate Professor of Healthcare Management at the Wharton School of Business, the market for outpatient services has gotten bigger and hospitals, which used to control about 90% of those services now have only 50% of a much larger pie. Both surgical and interventional procedures are moving towards ambulatory surgery centers and outpatient clinics while inpatient visits continue to fall. With the growth of new medical technologies, complex procedures are now seen as minimally invasive due to new anesthesia and pain control techniques that allow patients to return to home more quickly. These are just a few of the factors driving the changes in our current healthcare environment. As a result, there is a greater need than ever for facilities to improve workflow and ensure efficient processes are in place in order to serve more patients. Surgery Centers and Clinics alike can leverage a variety of technologies in order to decrease patient wait times, improve workflow efficiencies, manage costs, and improve patient satisfaction. In any healthcare setting, finite resources and staff must be well managed in order to provide timely, cost-efficient high quality healthcare. The following are a few areas in which simple technology improvements can greatly increase operational efficiencies and improve patient satisfaction. Real Time Locating systems can provide a variety of real-time information and data to make improvements across an array of clinics and outpatient settings. When anticipating patient flow, physician time, and the overall patient experience, RTLS is the key to improving your metrics. Ambulatory surgery centers are able to coordinate pre-op procedures via a variety of staff, benchmark time spent in the OR and improve room turnover. Understanding this data is crucial for facilities seeking to make improvements to their workflow and processes through the automation of events and ability to make adjustments in real time. Temperature monitoring can be leveraged to ensure accurate monitoring and alarming for product safety in vaccine and medication storage, blood and tissue storage or other pharmaceutical needs. There are very strict and complex regulations when it comes to the control processes for temperature, humidity and other conditions in the medical industry. Monitoring systems are cost effective to ensure both regulatory compliance and quality control. Time spent by staff manually logging temperatures is inefficient and unreliable as it lacks any proactive means of alerting staff when otherwise unknown problems arise. Additionally, one CDC study estimated that 1-5% of vaccine inventory is wasted through simple, avoidable vaccine storage and handling glitches resulting in thousands of dollars lost. Utilizing temperature sensors in your facility can quickly see an ROI through saved employee time and avoidable losses. Systems can be utilized to report information via email, text messages and automated phone call alerts. More importantly, your facility will maintain compliance with data logged, incident reports and NIST management. Many factors jeopardize patient privacy and comfort when it comes to an outpatient clinic setting. Typically walls in medical office rooms are constructed with lightweight building materials or frosted glass doors which don’t effectively protect conversations from being overheard. Although providers take many efforts to ensure HIPPA compliance, one of the most commonly experienced violations of privacy is medical information being overheard by unintended listeners. Sound masking solutions are a very cost effective way to achieve speech privacy in exam rooms and waiting areas by making speech unintelligible to others who may be a short distance or room away. These solutions mask sounds by adding a low-level background sound inside patient exam rooms or waiting rooms. The background sound is optimized to mask human speech from a distance, allowing patients to speak freely without fear of being overheard. These are just a few of the many solutions that can improve both workflow and patient experiences in a clinic or ambulatory surgery center setting. If your facility is interested in any of these solutions or if you have other unique challenges which you would like to address, contact your local distributor to see how we can help. Amanda Hargis, Healthcare Account Executive, has 4 years’ experience working with South Western Communications in the clinical communications, security and life-safety technology industry. Amanda works with healthcare organizations to achieve workflow efficiency, staff productivity improvements, and outcome-based performance initiatives which lead to increased HCAHPS scores. Patient Experience is the cross section between patient satisfaction and patient safety. The role of managing the overall experience falls to everyone in the C suite and is a true result of the organizations culture. Hospitals are challenged beyond simply healing patients to creating an environment that satisfies them as well. The new ACO model coupled with other regulatory drivers such as HCAHPS and related quality oversight has changed the way that hospitals manage care of the patients. A culture that is foundationally enabled by data that is converted to knowledge and understanding in real time will transform the patient experience. The conversion of data to knowledge and understanding creates an environment that is known as the Real Time Health System (RTHS). This concept, created by Gartner Research, is an industry vision to fundamentally change how health delivery organizations (HDO) deliver care to their patients. One of the core aspects of the RTHS is the patient generated data captured by the nurse call system and the technologies that interact with it. Patient behavioral analysis when aligned with the EMR will be critical for the CMIO to manifest understating of how perceptive measures are creating patient response. Patient behavioral analysis will become a critical factor in the CNIOs efforts to create clinical operational models for better care design. Patient behavioral analysis will in the future become part of the population health analysis. The methods used to identify the pattern of need and pattern of risk will be applied to models in long term care, home care, and patient engagement. These insights leverage on the abilities of the nurse call light system to act as a hub of communications and data aggregation of not only the patients’ needs but also the interactions of the care team. Modernization of the legacy concept of the nurse call system as a light and tone and glorified telephone to the bedside should be replaced with an understanding that the “system” is critical to enable workflow and record the patient’s behaviors. While technological advances from the standard hardware centric model are important for the advancement of the industry, the health delivery organization will not fully transcend the current state until it can be shown a greater value to change then to status quo. If workflows that enable staff to better care for patients can be achieved using a legacy mindset that does not require transition from simple to use hardware then the hospital will not be motivated to adapt to a different model. Motivations will include simplified interaction for the patients, enhanced contextual understanding for the care team, and analytics that align with the concept of the real time health system. The final point is critical. Hospital CIOs need to enable the leadership of their hospitals with tools that align with the Real Time Health System strategy. As hospital move into technology evaluations should consider the following concepts provided in the Gartners most recent document. The Real Time Health System provides leadership with situational awareness. Situational Awareness allows leadership to make more informed decisions on things that matter to patient experience such as workload or capacity management and patient behavioral analysis. It pulls information from a number of areas to paint a picture of the current state. On a micro level it provides contexts to individual patient needs, and on a macro level provides oversight to shift resources on demand. Nurse Call light systems are most often utilized simply in a on demand basis. As patients have a need they push a button to request assistance. As hospitals adapat to the model of the RTHS they will being to identify if their current technology can be used in a more holistic capacity to provide situational awareness. Thus the data being aggregated by the nurse call light system must be structured in a way that allows for modeling. The Real Time Health System is dependent upon solutions being mobile. Hospitals have a pace unlike any industry and one that is traditionally inconsistent with demand at times of need. Hospital CIOS must provide not only mobility solutions that allow for on demand connection between patient and care team but one that provides analytics at the point of care. Thus allowing for the hospital to do clinical modeling in real time to realign staff needs, and be more prescriptive in care models for patients. The HCAHPS focused hospital should desire to have multiple perspectives of the patients’ needs automated from their call light, recorded from their perceptions, and aligned with their medical record. All of which should be easily accessible in a mobile solution. The Real Time Health System leverages off of a technologies ability to enhance collaboration. Collaboration extends the reach of the care team to enable perspective of multiple providers to enhance the ability of an individual to deliver care. The hospital focused on patient experience should seek technologies that provide visual ability of the care team to identify pace and needs of the patient. This thought process enables “patients and providers to share in real time” but should not be limited to the acute care visit as the modern care team will be more than those focused on the current state. Enhanced collaboration is beyond “communication” and should be extended to location and sensing. Location provides not only context of whom and when but location as a specific aspect provides insight into “how much” and “how often”. As the enthusiasm for this model heightens the Nurse Call Light manufactures need to identify methodologies to transition the standard thought process of communication being their greatest value to the data they manage being the greatest value. The greater their ability to align with the concept of the Real Time Health System – the greater their ability to succeed in enabling a more enhanced patient experience. Kourtney Govro is recognized as an industry leading expert on nurse call light system application, clinical communications design models and patient generated data analytics. Her company Sphere3, a Gartner Cool Vendor and winner of the Fierce Healthcare Innovation awards for analytics in 2015, is the leading provider of patient experience management software. Interoperability has been a growing buzzword in healthcare in recent years, but what it means and how it works for clinical organizations is still relatively unknown. Interoperability refers to the ability of two or more technology systems to exchange and process data that improve the efficiency and effectiveness of hospital operations. Interoperability equips key healthcare decision makers with the information they need to continually measure and mange their operations, document protocol, mitigate risk, and provides staff and physicians with pertinent data that allows them to make intelligent assessments on how to optimize workflow and improve customer satisfaction. The end result is an enhanced delivery of quality patient care, and a thorough understanding of how certain processes and procedures function conjointly. There are three levels of information interoperability that let healthcare facilities measure the success of their systems: foundational, structural, and semantic. 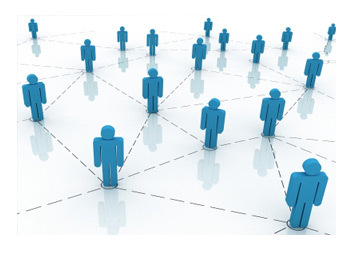 Interoperability at the foundational level is establishing the basic ability for two or more systems to exchange data. According to HIMMS, this level “allows data exchange from one information technology system to be received by another and does not require the ability for the receiving information technology system to interpret the data.” An example of foundational interoperability would be sending laboratory results from one facility to another. The information would be correct and delivered securely, but would require manual data entry and interpretation. If we think of interoperability in terms of a three tiered pyramid, foundational interoperability would be the bottom level of information sharing. The data is being exchanged, but the processing and interpretation of the information between the systems has not been established. Structural interoperability takes the automation of data sharing between systems to the next level. 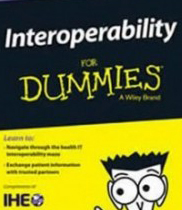 HIMMS explains that structural interoperability “defines the syntax of the data exchange. It ensures that data exchanges between information technology systems can be interpreted at the data field level.” This means if two clinics were using similar software applications, they could quickly and efficiently share patient information by auto-populating the system with pertinent medical history, test results, and findings to facilitate referrals between facilities. The structural level of interoperability helps automate the delivery and presentation of information between systems to improve both cost and labor efficiency, and reduce human error. At the foundational and structural level, we are able to see the benefits of integrating systems and providers to effectively communicate information with one another. But there are glaring challenges in regards to the redundancy, security, accuracy and speed in which these systems share data. The true value of interoperability in the healthcare environment lies at the highest level, which is semantic interoperability. At it’s core, semantic interoperability is the ability for two or more systems to effectively exchange, interpret and use data and information. To revisit our previous example through semantic lenses, a clinic would be able to send lab results to another facility, the system could then verify the contents, identify the records, match a patient, advise the appropriate physician, schedule alert notifications, and save any and all information regarding the case including appointments, updates, findings, prescriptions etc. There are very obvious benefits to healthcare IT networks with advancements in interoperability. But IO is something that should be carefully considered and integrated in all facets of a healthcare organization. From access control to mass notification alarm systems to real-time location solutions – interoperability ensures that the use of innovative technology has the ability to work in tandem, and provide tangible data that influence positive changes in how a staff and their facility function. Studies have shown that 80 percent of providers reported electronic data exchanges increase their practice’s efficiency, and 89 percent of providers said electronic data exchanges improve the patient’s quality of care. If you are interested in finding out more about how the interoperability of security and communication solutions can help drive noticeable change in your practice, contact one of our SD6 Alliance members and we will help identify areas where you can enhance your technology solutions. Additional Resource: www.IHE.org “Integrating the Healthcare Enterprise” is a not for profit organization dedicated to furthering Interoperability in healthcare.